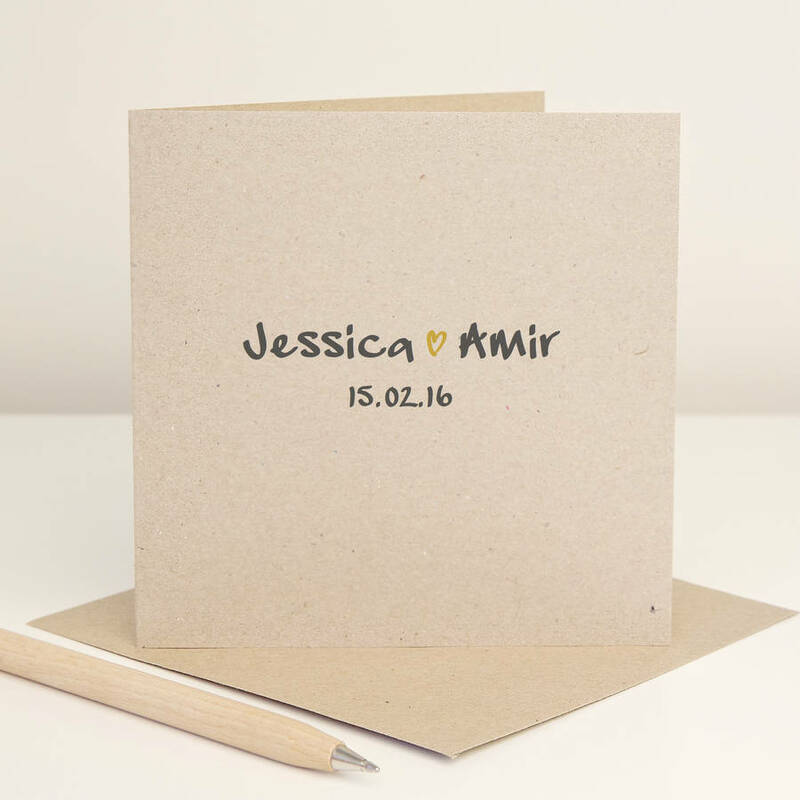 The perfect way to send your love to the happy couple or to celebrate your anniversary. 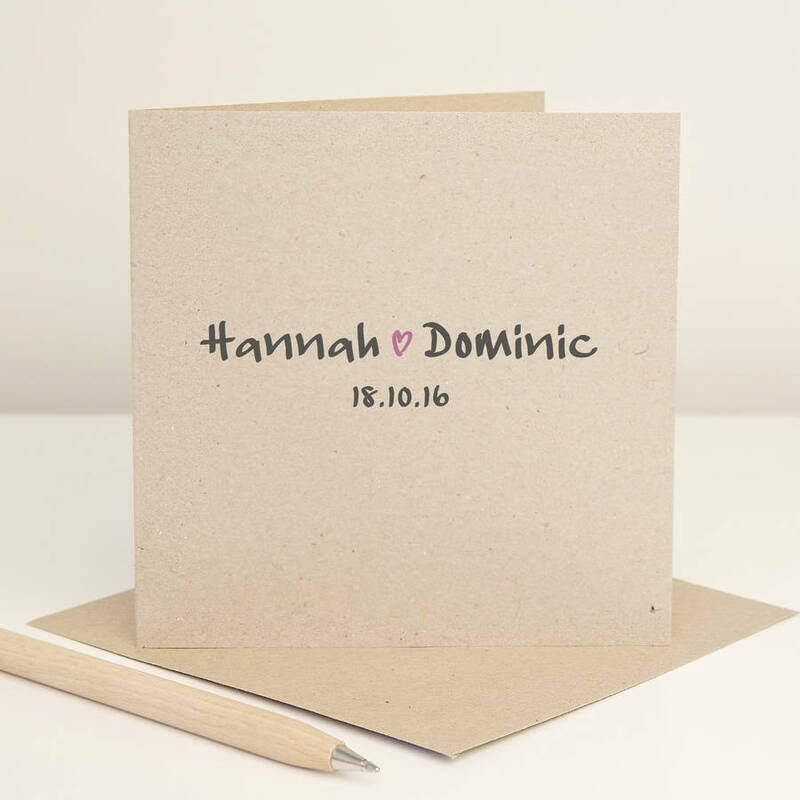 This personalised greetings card is the perfect way to send your love to celebrate an engagement, wedding or anniversary. 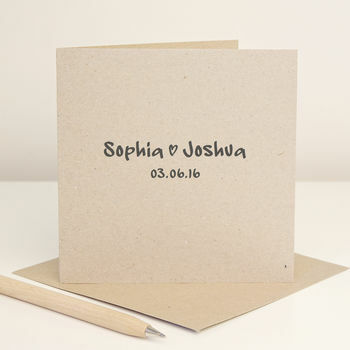 The card features the couple's name and special date with a little heart in a choice of colours. 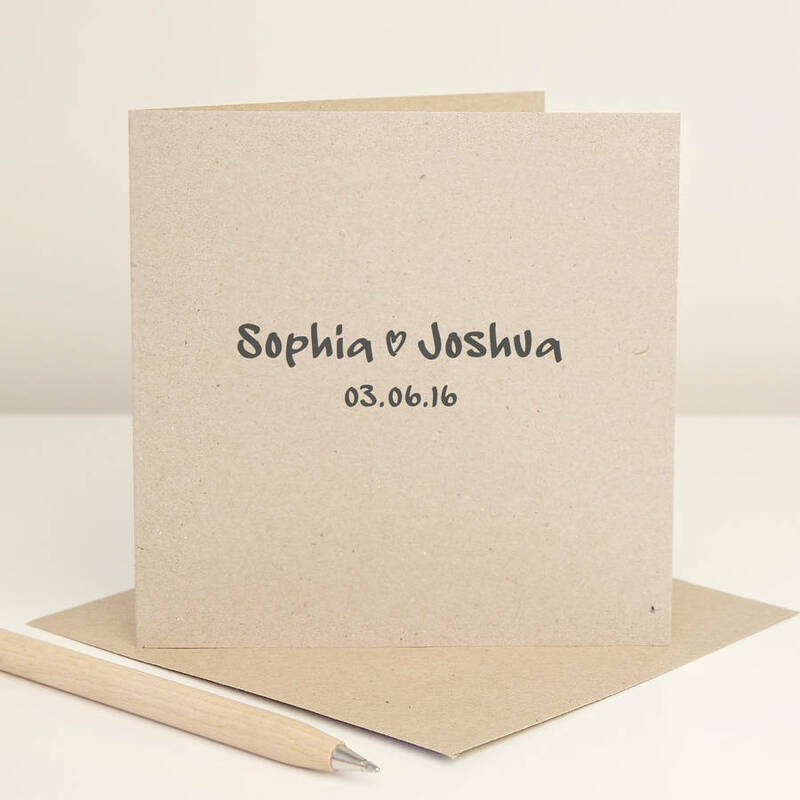 Please use the boxes to select the name, date of birth and colour for heart. 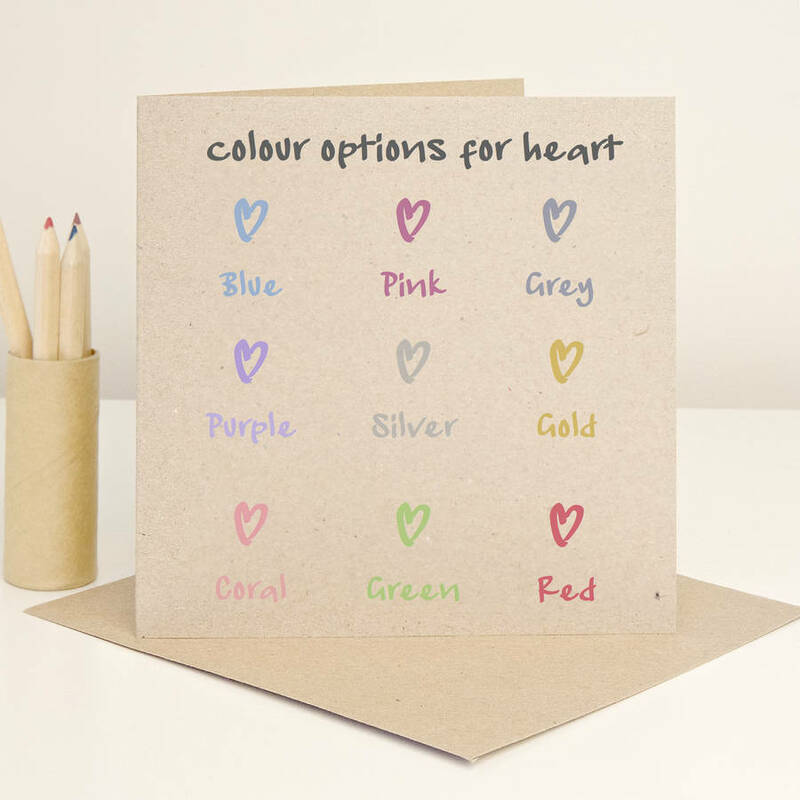 We have tried to show the heart colour options as best we can but these may alter with printing on each batch of card.